City Arms | Preserving America's future… upholding past traditions! Preserving America's future… upholding past traditions! 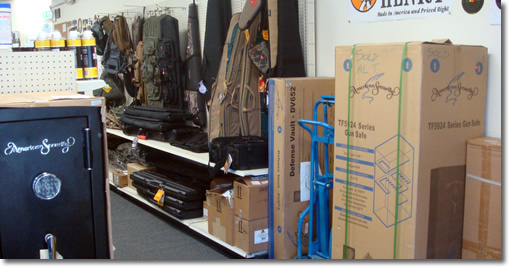 CITY ARMS and CITY ARMS EAST are fully licensed San Francisco Bay Area firearms retailers that offer our customers excellent selections of firearms, ammunition and other related accessories for recreational sport and hunting at very reasonable prices. Firearm estate sales and appraisal services are available. We also have an extensive selection of quality knives. Our two showrooms are convienentlylocated within a short driving distance from anywhere in the San Francisco Bay Area. Our original location, City Arms, is located along the beautiful San Mateo County coastline in Pacifica, California (7 miles south of San Francisco on Hwy 1). 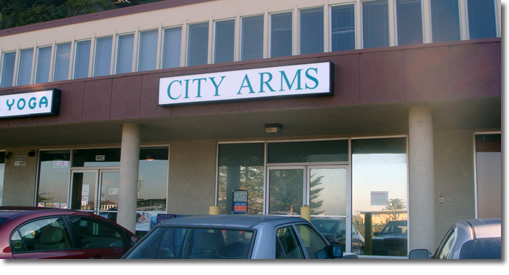 City Arms East, is located in Contra Costa County in Pleasant Hill (9 miles from Lafyette).